Pilates is a form of low-impact, mind-body exercise that aims to strengthen the muscles while improving postural alignment and flexibility. Doing Pilates consistently can dramatically transform the way your body looks, feels, and performs, and it’s one of the only exercises that builds strength without adding excess bulk. The moves in Pilates work on breath control and teaches body awareness, good posture, and easy, graceful movement; it also improves flexibility, agility, and economy of motion. Sometimes, it can even help alleviate physical pain, including back pain. It’s a safe, easy exercise system that will help you look and feel your best! All of our Pilates classes work to build core strength, coordination, improve posture, correct alignment and improve flexibility. The goal is to elongate and strengthen while improving muscle elasticity and joint mobility through mind-body connection. Mind-body exercise – like Pilates – is activity that plays on the mental focus of the physical movements being performed. With this type of exercise, quality of movement is stressed over quantity of movement. You’ll often notice our instructors using a lot of verbal cues and coaching on things like the quality of breathing, rhythmic inhalation and exhalation during the exercise, and proper body alignment. 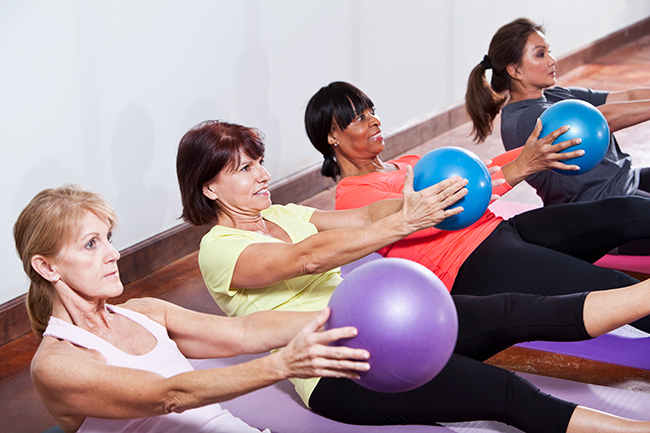 Each of our San Diego Pilates classes is 55 minutes, and appropriate for any level. With simple adjustments to the resistance level and focus on the core Pilates principles, the same movements are adjusted to suit beginner, intermediate and advanced levels. Our classes will leave you feeling challenged, focused and better aligned, and with time, your Pilates practice will grow and improve immeasurably! Cardio Pilates is a form of the exercise that blends ballet movements with regular Pilates principles. Cardio Pilates requires focused control and breathing to shape and tone your body, and improve overall balance with core strength. 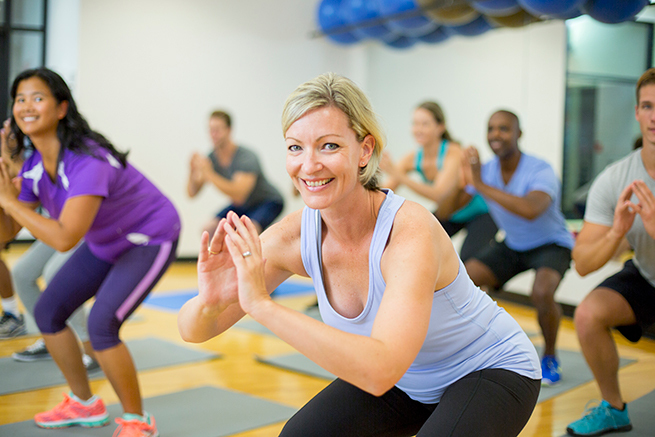 Essentially, Cardio Pilates turns traditional strength-training Pilates movements into a fast-paced cardio workout! If you’ve ever felt like you needed a cardio boost after your Pilates session, this is the perfect combo for you.